Saying “I love you” is both incredibly beautiful and intensely terrifying at the same time. These three little words mean so much and can be the subtle difference between the lonely despair of unrequited love and a long love-filled life together. As actions have always spoken louder than words, the best way to tell someone that you love them is by showing them. But how about doing both? 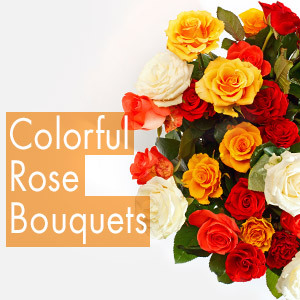 Sending a bunch of stunning flowers with a heartfelt note means you can show - and tell - them how you feel at exactly the same time. 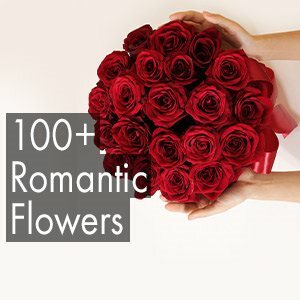 Are you looking for a way to let a special someone know that you love and appreciate them? 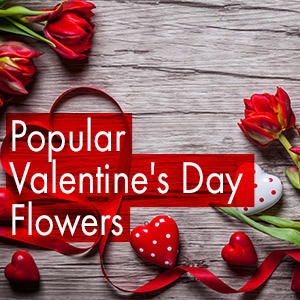 Nothing says “I love you” like an unexpected bunch of flowers. Whether it’s your life partner, your mother or your best friend, there are so many ways to show the people in your life that you care. They say that love is a friendship that has caught fire. Thanks for adding so much fire and passion to my life each and every day. You are my one and only. I love you. Every moment we spend together is like a dream come true. I am so happy I get to do this life with you. I love you endlessly! I am here for you for the ups, the downs and the everything in between. I love you more than life itself. I love you more than yesterday and yet I know I will love you more tomorrow. Thank you for being my person. “Take a lover that looks at you as though maybe you are magic”. Thank you for making me feel magical. I love you. My darling wife, I love you more than life itself. Thank you for always being by my side every step of the way. Love you always. My dearest hubby. Thank you for your unconditional love and unwavering support throughout the years. My heart is yours forever. I love you. You’re the only person I want to fall asleep next to and the only face I want to wake up to every day of my life. Here’s to forever. I love you. You’re the best thing that’s ever happened to me. My life changed the moment I met you. I love you more than words can say. Babe, you deserve all the love in the world. Thinking of you today and always. I love you. I miss the sound of your laugh, the warmth of your hug and the smell of your hair. Every time you smell these flowers, remember that I am thinking of you. I love you. Thank you for making me smile for no reason at all. I am so lucky to have you in my life. I love you. Words are not enough to describe how much I care about you. Thank you just for being you. I love you lots.